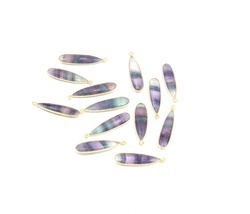 Manufacturer of a wide range of products which include semi precious bezel connectors, rainbow quartz bezel connector, round gemstone bezel connector, skyblue round bezel connector, dyed ruby connector and semi precious connector. We are situated Semi Precious Bezel Connectors in Jaipur (The Pink City Of India). You found an exact piece as you see in an image. Our Mostly Products are handmade with 925 stamped. If you want any piece in quantity then we can provide you in wholesale rate. If you have your own designs, we can make for you after seeing the sample or sample image. 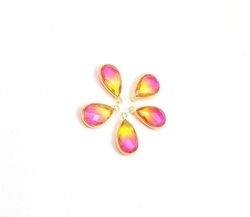 Item name ;- Rainbow Quartz Bezel Connector With Gold Plated. 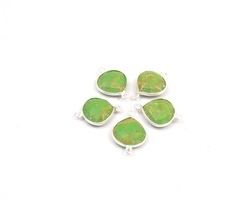 We are situated Round Gemstone Bezel Connector in Jaipur (The Pink City Of India).You found an exact piece as you see in an image. Our Mostly Products are handmade with 925 stamped. If you want any piece in quantity then we can provide you in wholesale rate. If you have your own designs, we can make for you after seeing the sample or sample image. $Gold Plated:- $ 2.2 Per Pic. Silver Plated;- $ 2.0 Per Pic. 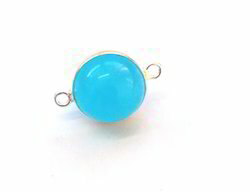 We are situated Skyblue Round Bezel Connector in Jaipur (The Pink City Of India).You found an exact piece as you see in an image. Our Mostly Products are handmade with 925 stamped. If you want any piece in quantity then we can provide you in wholesale rate. If you have your own designs, we can make for you after seeing the sample or sample image. 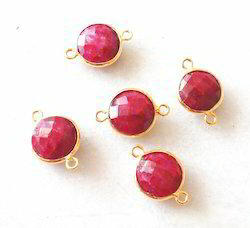 We are situated Dyed Ruby Connector in Jaipur (The Pink City Of India)You found an exact piece as you see in an image. Our Mostly Products are handmade with 925 stamped. If you want any piece in quantity then we can provide you in wholesale rate. If you have your own designs, we can make for you after seeing the sample or sample image. We are situated Semi Precious Connector in Jaipur (The Pink City Of India).You found an exact piece as you see in an image. Our Mostly Products are handmade with 925 stamped. If you want any piece in quantity then we can provide you in wholesale rate. If you have your own designs, we can make for you after seeing the sample or sample image. 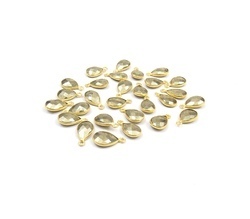 Gold plated:- $ 3.3 per Pic. Silver plated:- $ 3.00 Per Pic. 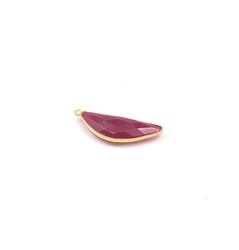 We are situated Marquise Shape Bezel Connector in Jaipur (The Pink City Of India). You found an exact piece as you see in an image. Our Mostly Products are handmade with 925 stamped. If you want any piece in quantity then we can provide you in wholesale rate. If you have your own designs, we can make for you after seeing the sample or sample image. We are situated Heart Bezel Connectors in Jaipur (The Pink City Of India). You found an exact piece as you see in an image. Our Mostly Products are handmade with 925 stamped. If you want any piece in quantity then we can provide you in wholesale rate. If you have your own designs, we can make for you after seeing the sample or sample image. 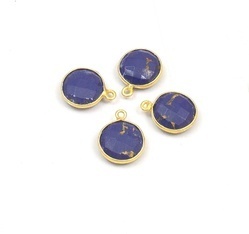 Item name ;- Blue Stone Handmade Gemstone Bezel Jewelry Connector With Gold Plated. 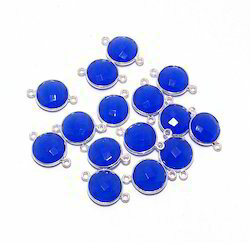 We are situated Blue Quartz Bezel Connectors in Jaipur (The Pink City Of India). You found an exact piece as you see in an image. Our Mostly Products are handmade with 925 stamped. If you want any piece in quantity then we can provide you in wholesale rate. If you have your own designs, we can make for you after seeing the sample or sample image. 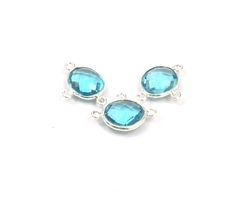 We are situated Silver Blue Quartz Bezel Connectors in Jaipur (The Pink City Of India). You found an exact piece as you see in an image. Our Mostly Products are handmade with 925 stamped. If you want any piece in quantity then we can provide you in wholesale rate. If you have your own designs, we can make for you after seeing the sample or sample image. 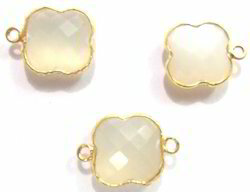 Peach Moonstone Gemstone Bezel Connectors Rectangle Shape Bezel Stone With Gold Plated Gemstone Bezel Connectors. 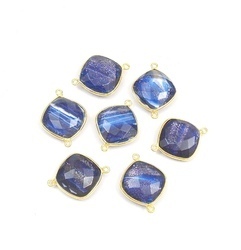 Blue Chalcedony Gemstone Bezel Connectors. 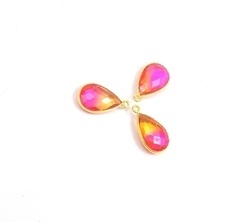 We are situated Amethyst Clover Connector in Jaipur (The Pink City Of India).You found an exact piece as you see in an image. Our Mostly Products are handmade with 925 stamped. If you want any piece in quantity then we can provide you in wholesale rate. If you have your own designs, we can make for you after seeing the sample or sample image. Packaging Details: we have established an ultramodern warehouse & packaging section which is well-equipped with advanced machines. This section is categorically divided into various division for categorical store our developed products. Experienced housekeeping staff handle the activities taking place in this unit and ensure to keep its premises moisture free, well ventilated, rodent & pest free, free of dust, and clean. Besides, we have advanced machines, equipment and tools to ensure excellent packaging of our products for their complete safety during transit. Our warehouse is well connected to different networks of transportation which enables us to make timely delivery of orders. 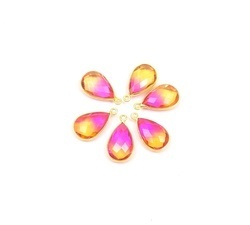 We are situated Amethyst Quartz Bezel Connector in Jaipur (The Pink City Of India). You found an exact piece as you see in an image. Our Mostly Products are handmade with 925 stamped. If you want any piece in quantity then we can provide you in wholesale rate. If you have your own designs, we can make for you after seeing the sample or sample image. 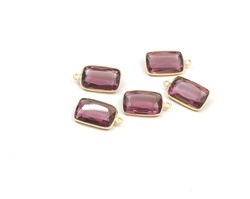 We are situated Smoky Quartz Bezel Connector in Jaipur (The Pink City Of India). You found an exact piece as you see in an image. Our Mostly Products are handmade with 925 stamped. If you want any piece in quantity then we can provide you in wholesale rate. If you have your own designs, we can make for you after seeing the sample or sample image. We are situated Multi Stone Bezel Connector in Jaipur (The Pink City Of India). You found an exact piece as you see in an image. Our Mostly Products are handmade with 925 stamped. If you want any piece in quantity then we can provide you in wholesale rate. If you have your own designs, we can make for you after seeing the sample or sample image. We are situated Multi Quartz Bezel Connector in Jaipur (The Pink City Of India).You found an exact piece as you see in an image. Our Mostly Products are handmade with 925 stamped. If you want any piece in quantity then we can provide you in wholesale rate. If you have your own designs, we can make for you after seeing the sample or sample image. We are situated Natural Pyrite Bezel Connector in Jaipur (The Pink City Of India). You found an exact piece as you see in an image. Our Mostly Products are handmade with 925 stamped. If you want any piece in quantity then we can provide you in wholesale rate. If you have your own designs, we can make for you after seeing the sample or sample image. We are situated Ruby Bezel Connector in Jaipur (The Pink City Of India). You found an exact piece as you see in an image. Our Mostly Products are handmade with 925 stamped. If you want any piece in quantity then we can provide you in wholesale rate. If you have your own designs, we can make for you after seeing the sample or sample image. 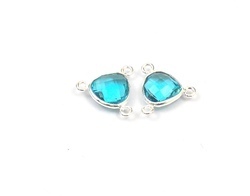 We are situated Aqua Quartz Bezel Connector in Jaipur (The Pink City Of India). You found an exact piece as you see in an image. Our Mostly Products are handmade with 925 stamped. If you want any piece in quantity then we can provide you in wholesale rate. If you have your own designs, we can make for you after seeing the sample or sample image. We are situated Rectangle Bezel Connectors in Jaipur (The Pink City Of India). You found an exact piece as you see in an image. Our Mostly Products are handmade with 925 stamped. If you want any piece in quantity then we can provide you in wholesale rate. If you have your own designs, we can make for you after seeing the sample or sample image. 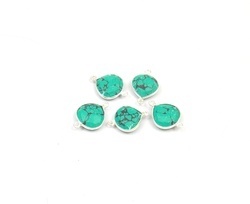 We are situated Multi Gemstone Bezel Connectors in Jaipur (The Pink City Of India).You found an exact piece as you see in an image. Our Mostly Products are handmade with 925 stamped. If you want any piece in quantity then we can provide you in wholesale rate. If you have your own designs, we can make for you after seeing the sample or sample image. 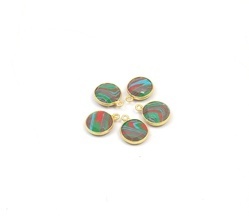 We are situated Multi Gemstone Connector in Jaipur (The Pink City Of India). You found an exact piece as you see in an image. Our Mostly Products are handmade with 925 stamped. If you want any piece in quantity then we can provide you in wholesale rate. If you have your own designs, we can make for you after seeing the sample or sample image. 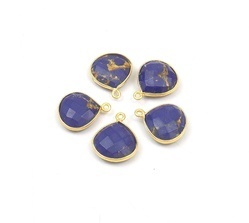 We are situated Gemstone Bezel Connector in Jaipur (The Pink City Of India). You found an exact piece as you see in an image. Our Mostly Products are handmade with 925 stamped. If you want any piece in quantity then we can provide you in wholesale rate. If you have your own designs, we can make for you after seeing the sample or sample image. 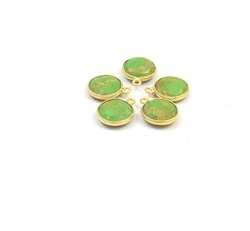 We are situated Gold Plated Bezel Connectors in Jaipur (The Pink City Of India). You found an exact piece as you see in an image. Our Mostly Products are handmade with 925 stamped. If you want any piece in quantity then we can provide you in wholesale rate. If you have your own designs, we can make for you after seeing the sample or sample image. We are situated Gemstone Connector Bezel Connectors in Jaipur (The Pink City Of India). You found an exact piece as you see in an image. Our Mostly Products are handmade with 925 stamped. If you want any piece in quantity then we can provide you in wholesale rate. If you have your own designs, we can make for you after seeing the sample or sample image. 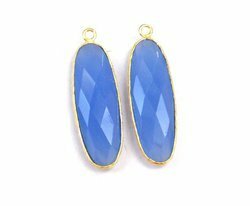 We are situated Bezel Jewelry Gemstone Connector in Jaipur (The Pink City Of India). You found an exact piece as you see in an image. Our Mostly Products are handmade with 925 stamped. If you want any piece in quantity then we can provide you in wholesale rate. If you have your own designs, we can make for you after seeing the sample or sample image. 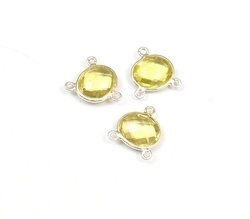 We are situated Lemon Quartz Bezel Connectors in Jaipur (The Pink City Of India). You found an exact piece as you see in an image. Our Mostly Products are handmade with 925 stamped. If you want any piece in quantity then we can provide you in wholesale rate. If you have your own designs, we can make for you after seeing the sample or sample image. 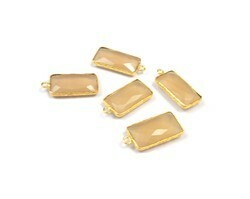 We are situated Citrine Quartz Bezel Connector in Jaipur (The Pink City Of India). You found an exact piece as you see in an image. Our Mostly Products are handmade with 925 stamped. If you want any piece in quantity then we can provide you in wholesale rate. If you have your own designs, we can make for you after seeing the sample or sample image. 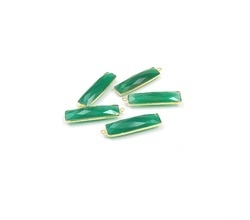 We are situated Gemstone Connector Bezel Connectors in Jaipur (The Pink City Of India).You found an exact piece as you see in an image. Our Mostly Products are handmade with 925 stamped. If you want any piece in quantity then we can provide you in wholesale rate. If you have your own designs, we can make for you after seeing the sample or sample image. 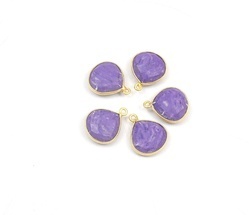 We are situated Semi Precious White Druzy Pendant in Jaipur (The Pink City Of India). You found an exact piece as you see in an image. Our Mostly Products are handmade with 925 stamped. If you want any piece in quantity then we can provide you in wholesale rate. If you have your own designs, we can make for you after seeing the sample or sample image. 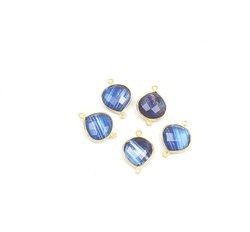 We are situated Blue Copper Bezel Connector in Jaipur (The Pink City Of India). You found an exact piece as you see in an image. Our Mostly Products are handmade with 925 stamped. If you want any piece in quantity then we can provide you in wholesale rate. If you have your own designs, we can make for you after seeing the sample or sample image. 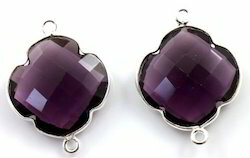 Welcome to the 925 sterling silver jewelry,Fluorite Gemstone Connector Sameer Art & Craft, Sameer art & craft is a silver jewelry company. We are Wholesaler, Retailer, Exporter and Supplier of 925 Sterling Silver, Beaded Rosary Chain & All Imitation Jewelry with or without Genuine Precious & Semi Precious Stones. We are situated in Jaipur (The Pink City Of India). 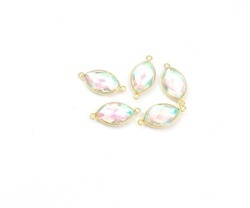 We are situated Multi Pear Bezel Connector in Jaipur (The Pink City Of India). You found an exact piece as you see in an image. Our Mostly Products are handmade with 925 stamped. If you want any piece in quantity then we can provide you in wholesale rate. If you have your own designs, we can make for you after seeing the sample or sample image. 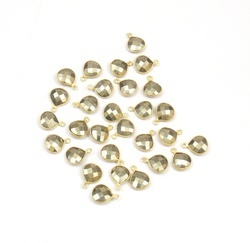 We are situated Natural Pyrite Gemstone Connector Connectors in Jaipur (The Pink City Of India)You found an exact piece as you see in an image. Our Mostly Products are handmade with 925 stamped. If you want any piece in quantity then we can provide you in wholesale rate. If you have your own designs, we can make for you after seeing the sample or sample image. 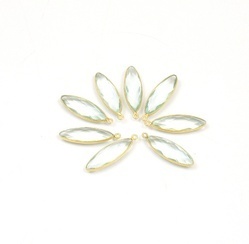 We are situated Silver Jewelry Bezel Connectors in Jaipur (The Pink City Of India).You found an exact piece as you see in an image. Our Mostly Products are handmade with 925 stamped. If you want any piece in quantity then we can provide you in wholesale rate. If you have your own designs, we can make for you after seeing the sample or sample image.